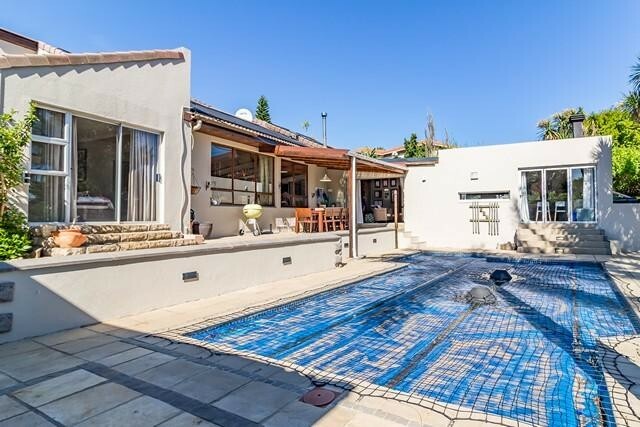 Sign up and receive Property Email Alerts of Freestandings to let in Protea Valley, Bellville. Four reception rooms gives this home that lived in feel. Kitchen is open plan where you can interact with visitors whilst cooking up a storm, There is a built in bar with access to outside patios to enjoy sundowners. Five bedrooms and three bathrooms further compliments this home. The guest bedroom and en-suite is ideally located on the other side of the house with its own garden entrance. The bathrooms have been elegantly refurbished to further enhance the feeling of open space luxury. Sign-up and receive Property Email Alerts of Freestandings to let in Protea Valley, Bellville.